What does it mean to earn the Silver Oakleaf? So few men have done so. For Will, a mere boy, that symbol of honour has long felt out of reach. Now, in the wake of Araluen’s uneasy truce with the raiding Skandians comes word that the Skandian leader has been captured by a dangerous desert tribe. 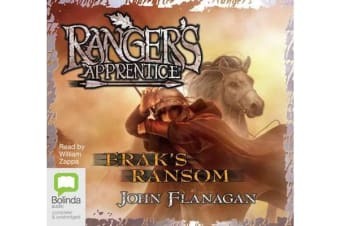 The Rangers are sent to free him. But the desert is like nothing these warriors have seen before. Strangers in a strange land, they are brutalised by sandstorms, beaten by the unrelenting heat, tricked by one tribe that plays by its own rules, and surprisingly befriended by another. Like a desert mirage, nothing is as it seems. Yet one thing is constant: the bravery of the Rangers.